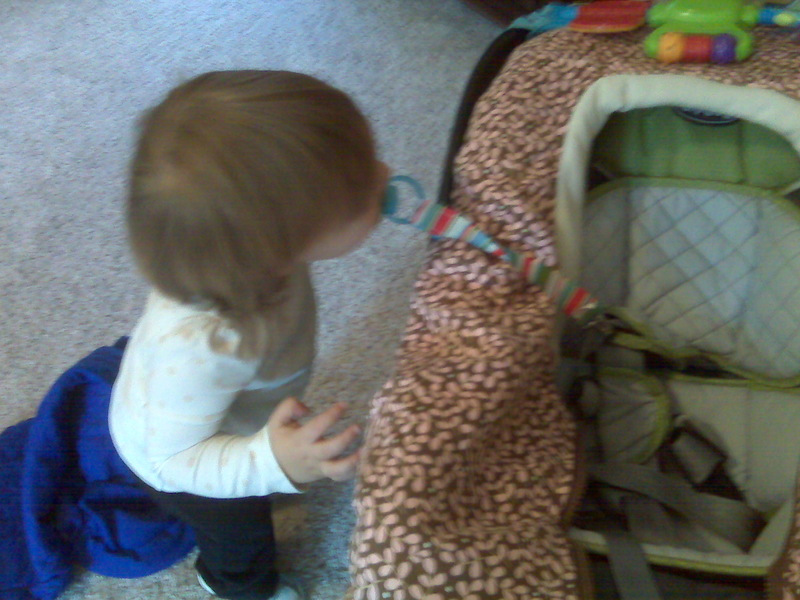 So we've been trying to wean Ellie off the pacifier for a few weeks now, giving it to her only when she's in her crib. However, like any good addict she'll go to any length to get a fix. She knows Lila's car seat is prime for pacis and the first thing she does when I take the baby out is mine. She's extremely cunning and waited until I has just started feeding the baby and knew I was completely incapacitated and helpless before she ran over, grabbed this one and sucked like her life depended on it. Although it was hooked to the shoulder strap she would run over to it every few seconds, take a couple of quick hits and run away. Santa may leave some cigarettes in her stocking to help get her off these things.